We are a full service sign shop specializing in a wide variety of signs from Hand Carved Gold Leaf Signs to Electric Signs, Banners, and Vehicle Graphics. We can provide you with the graphic design and/or sign that can help your business excel in the world today. 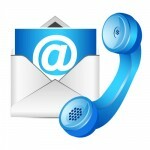 Contact Us today to start the design process or receive a quote. 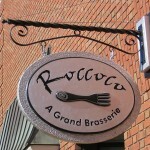 View our portfolio of carved and gold leaf signage. 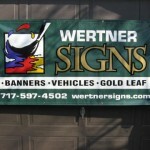 We offerin a wide variety of vinyl banners, graphics, & signage. Get started on the design process or get a quote. Copyright © 2014 Wertner Signs.